Gert Nygårdshaug’s food and wine loving hero Fredric Drum, is in Italy this time. On behalf of the University of Rome he works on deciphering an old Greek text. Suddenly he finds himself in the middle of a dangerous drama, where the ingredients are ancient philosophy, black medieval age and a cynical, invisible murderer who leaves his victims without signs of external violence. A typical Nygårdshaug novel, tainted with mystery, exotic knowledge and excitement from first to last page. Nygårdshaug passes the big big test, the one which separates the champion from the mediocre: He creates a proper conclusion. 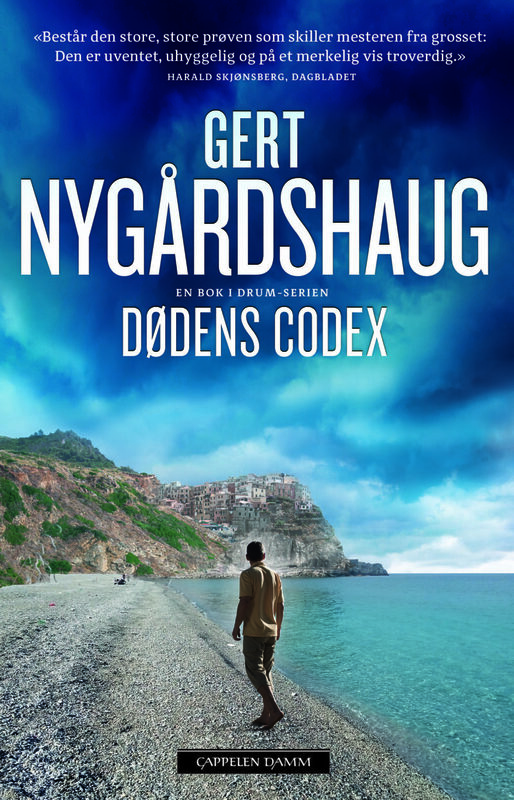 Dødens Codex is unexpected, creepy and strangely trustworthy. So when it's all over, the reader is left shaken, and very satisfied.